The translations used in the show aren’t necessarily the ones linked to here; for example, I used “animate” as a consistent translation of “ἔμψυχος” (empsychos), to help communicate that they all used the same phrase to mean abstaining from flesh. It was extremely tempting to go on a long tangent about efforts to record ancient Greek music. 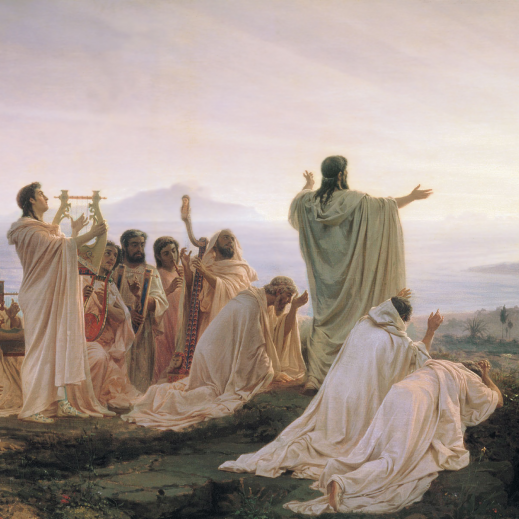 There are two extant compositions – the Delphic Hymn (which far from being Pythagorean relates to an animal sacrifice), and the haunting Epitaph of Seikilos. Historians go to great length to try to recreate lost instruments. Academics like Armand d’Angour endeavour to infer melodies based on the rhythm and accents. His current project to recreate ancient Greek music will bear fruit in the shape of a CD and radio broadcast later this year. Meanwhile, dedicated amateurs like Michael Levy simulate a range of ancient music. Music by Robb Masters, Michael Levy, and Stefan Hagel. The actors were Jeremy Hancock, Sandeep Garcha, Orna Klement and Vinay Varma as Ashoka Maurya. Additional sound engineering by Mathieu Gillon. The track played under discussion of musical harmony is the “First Delphic Hymn to Apollo”, performed by Michael Levy on his album “The Ancient Greek Lyre”. The track played under the Orphic totenpass is “The Epitaph of Seikilos”, performed by Stefan Hagel. Special thanks to the British Museum, and to Elizabeth Alexandra Fisher for assistance and photography. Nerdy language coincidence of the month: the Pythagoreans’ adversary at Croton was called Cylon (although pronounced with a hard “c”). Someone should make a TV series about their years on the run from a Cylon attack. It could have lots of references to Greek deities and mysticism.